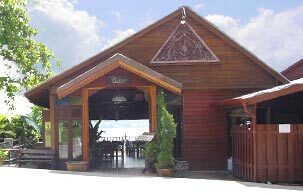 Sweeping views over Patong bay while you dine on a fine selection of Thai Cuisine, and enjoy a bottle of fine wine, make for a very special dining experience at “Pan Yaah” Thai Restaurant. Indulge yourself in the Orient’s finest cuisine, prepared and supervised by our Thai Chef. Beautifully presented dishes made from the very highest quality ingredients will pamper your palate and tantalise your taste buds.